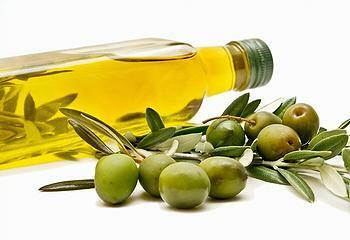 NEW YORK, New York, February 17, 2015 (ENS) – Abundant evidence supports the role of olive oil in protecting against heart disease; now scientists have found that extra-virgin olive oil contains an ingredient that kills cancer cells without harming healthy cells. The ingredient is oleocanthal, a compound that ruptures a part of the cancerous cell, releasing enzymes that cause cell death, two cancer biologists at New York City’s Hunter College and a Rutgers nutritional scientist have found. David Foster and Onica LeGendre of Hunter College, and Paul Breslin, professor of nutritional sciences in Rutgers’ School of Environmental and Biological Sciences, report that oleocanthal kills cancerous cells in the laboratory by rupturing vesicles that store the cell’s waste. According to the World Health Organization’s World Cancer Report 2014, there were more than 14 million new cases of cancer in 2012 and more than eight million deaths. Scientists knew that oleocanthal killed some cancer cells, but no one really understood how this occurred. Breslin believed that oleocanthal might be targeting a key protein in cancer cells that triggers a programmed cell death, known as apoptosis, and worked with Foster and Legendre to test his hypothesis after meeting David Foster at a seminar he gave at Rutgers. After applying oleocanthal to the cancer cells, Foster and LeGendre discovered that the cancer cells were dying very quickly – within 30 minutes to an hour. Since programmed cell death takes between 16 and 24 hours, the scientists realized that something else had to be causing the cancer cells to break down and die. LeGendre, a chemist, provided the answer. The cancer cells were being killed by their own enzymes. The oleocanthal was puncturing the vesicles inside the cancer cells that store the cell’s waste – the cell’s “dumpster,” as Breslin called it, or “recycling center,” as Foster refers to it. These vesicles, known as lysosomes are larger in cancer cells than in healthy cells, and they contain a lot of waste. “Once you open one of those things, all hell breaks loose,” Breslin said. But oleocanthal did not harm healthy cells, the researchers found. It merely stopped their life cycles temporarily, “put them to sleep,” Breslin said. After a day, the healthy cells resumed their cycles. “We also need to understand why it is that cancerous cells are more sensitive to oleocanthal than non-cancerous cells,” Foster said. A record of research showing the benefits of olive oil consumption to lower cancer risk. “Olive oil compounds also increase enzymes that block activation of carcinogens and improve their removal from the body. These compounds appear to slow development of cancer cells and increase their self-destruction,” Collins wrote. “While many of these benefits have been seen in laboratory studies rather than controlled human intervention trials, they are supported by what we see in population studies of the Mediterranean diet,” she wrote. In the Mediterranean contries, consumption of olives or olive oil has long been considered important for preserving a healthy and relatively disease-free population. And the incidence of cancer overall in Mediterranean countries is lower than in Scandinavian countries, the UK and the United States. Epidemiologic data show that the Mediterranean diet has significant protective effects against cancer as well as coronary heart disease.